What do competition-level figure skating, classical vocal technique and an exuberant feel for jazz have in common? Only one thing. And her name is Patrice Jégou. Her new album, IF IT AIN’T LOVE - kicks off with a blazing a cappella rendition of “Lover Come Back to Me,” with Take 6’s Mark Kibble and Alvin Chea providing stunning, hard-swinging backup. From there Jégou leads us through a garden of delights — big-band romps with the Clayton-Hamilton Jazz Orchestra, sensuous string-kissed ballads arranged by Jorge Calandrelli, artfully crafted charts by Mike Lang and David Paich, and much more. But Jégou herself holds center stage, whether on the intimate keyboard-and-voice setting of “It Might Be You,” the spare elegance of Randy Newman’s “Losing You” or the show-stopping “I’m So Glad I’m Standing Here Today.” And when sharing the spotlight with gospel diva Táta Vega on “Yes We Can, Can,” and smooth crooner Javier Almaráz on “Remembrances,” she delivers a textbook lesson on duo performance. What’s most remarkable is that this music might never have happened if not for one remark made in passing by a colleague of hers, not many years ago. She had already accomplished much before that day. Born in St. John’s, Newfoundland, Canada, and raised in Red Deer, Alberta, Jégou came from a family of amateur musicians. Initially, though, her passion was for skating. She was on the ice by age 7 and developed to the point that she turned pro at 18, first as a coach in New Zealand and later as a performer with a touring ice show in Mexico. Jégou might still be doing lutzes and axels — actually, she still skates in her spare time — if not for a few words that a fellow ice show cast-mate made after hearing her singing casually to herself. Did she ever. Jégou progressed rapidly. In fact, she eventually earned a doctorate in classical vocal performance from Rutgers University. She did her first recordings too, including an album of Spanish songs by Shostakovich, Braga and other composers, in 2006. Her career path seemed clear until she decided to take one more unexpected turn by studying non-classical technique. Working with vocal coach Justin Stoney, Jégou refocused from the higher end of her register toward the lower/middle part, closer to conversational range. She expanded her vocal technique in order to utilize more chest voice, and changed her ideas about interpretation, going beyond the long sostenuto and graceful legato lines cultivated in classical training. As her approach became more natural, Jégou began phrasing around not just the spacing, but the meaning of lyrics in popular music and jazz. Her grasp of jazz was quick and intuitive, prompting Oyelese to plan for her sophomore outing in the genre. Together they dove into the catalog, listening to and learning from the masters. 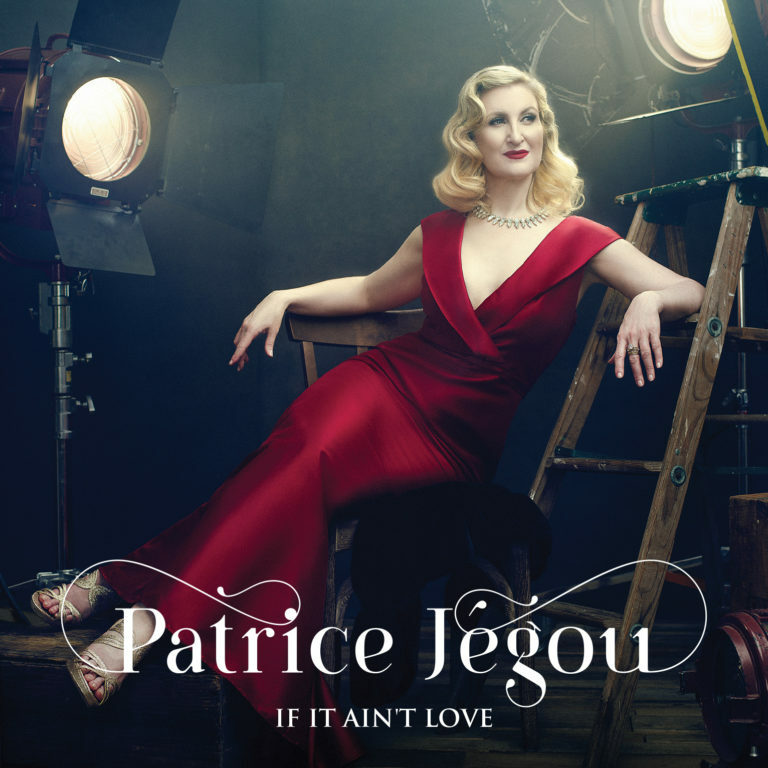 Jégou estimates that they studied more than 45 different renditions of “Lover Come Back to Me.” They discovered new repertoire, finding “Jersey Bounce” from the Ella Fitzgerald recording. “It was like we took a wooden spoon, stuck it into a pot, started stirring and all these songs began floating up to the surface,” she recalls. They didn’t. Calandrelli, Mike Lang, David Paich, John Clayton, Mark Kibble, and Take 6, — an exceptional array of talent - agreed to join the project. The result is about as rare a jazz album as you’ll ever hear, in terms of both depth and breadth. IF IT AIN’T LOVE is a tribute to their artistry too, each in his own way spotlighting a different facet of a single sensational performer.